Delight, is a compact ,light and retro styled automatic scooter which is the latest addition from Yamaha. 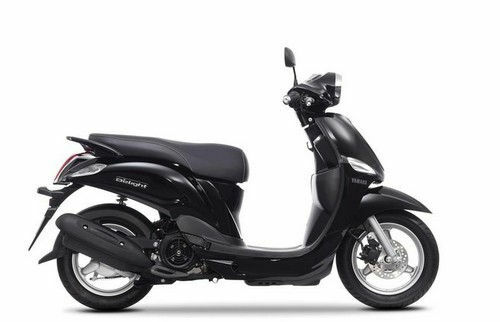 It gets a 114cc single cylinder, air cooled, 4 stroke, 2-valves, petrol engine which can develop the maximum power output of 7.2 PS at 7000 rpm and maximum torque of 7.6 Nm at 5500 rpm. It comes with telescopic fork suspension at the front and Unit Swing rear suspension at the rear. It includes 180mm hydraulic single disc brake at the front and 130 mm drum brake at the rear. It also get 12 inch tyres and it weighs 98 Kg only. It provides under seat storage for demi-jet type helmet. It features low seat height, integrated taillight and rear indicators. 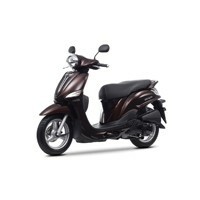 * Prices of Yamaha Delight indicated here are ex-showroom price not the on road price of Delight. Price list is subject to change and for the latest Yamaha Delight India prices, submit your details at the booking form available at the top, so that our sales team will get back to you. Yamaha Delight mileage mentioned here is based on ARAI test drive made under standard test conditions. "The prime specs of Yamaha Delight are listed here. 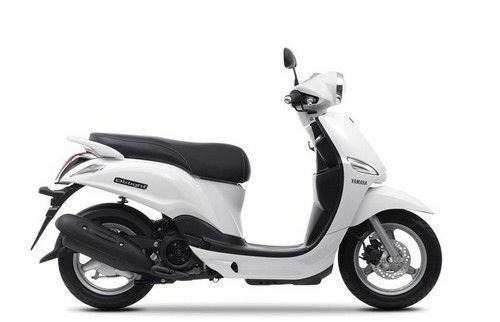 The overall length, width of the bike should give you an idea about its manoeuverability to sneak and run through the traffic jams.Engine specs of Delight are also listed here. With the power (in bhp) and torque (Nm) figures the most important ratios - power to weight ratio of Delight and torque to weight ratio. The displacement (in cc) is the measure of cubic capacity of the engine. The performance figure of the bike zero to sixty and zero to 100 in seconds will give you the sense of the power the bike possess and its on road performance. The lesser the time taken by the bike to reach 60kmph or 100kmph the faster it is over it competitors "